The fee to file a provisional patent with the U.S. Patent and Trademark Office is less than the fee to file a utility patent. There is also less paperwork is involved in filing, which means that if you hire an attorney to file your patent, the attorney cost for a provisional patent is usually less than for a utility patent. Regular patents require an extensive search of prior art, which refers to all information already disclosed to the public in any form about an invention or any other patents or inventions that are similar. Provisional patents don't require any disclosures of prior art. Provisional patents also don't need signed oaths -- and USPTO agents don't examine them, so the written requirements are far less stringent. If two patent applications are filed for very similar inventions, the USPTO might decide who gets the patent based on either who invented the product first and can prove it, or who filed first. A provisional patent allows you to quickly obtain a patent pending on your product. If you file a utility patent within a year of filing a provisional patent, you can apply the earlier date of your provisional filing to your full patent, which means the provisional patent is documented proof that you were the first to file with the USPTO. However, you'll want to make sure your provisional patent fully describes your invention. Any parts you leave out that are included in your full patent will not receive the earlier dated protection. Inventors relying on a provisional patent have a danger of losing protection if they're too lax on the creation of this temporary patent. If anything was published about your invention more than a year before your utility patent application, the USPTO will reject your application and deny you a utility patent. Also, any parts of your invention that you do not fully describe in your provisional patent application aren't protected. A well-written provisional application should include all the requirements of a non-provisional one if you intend to use it to enable someone to build your invention. IP Patent Attorney: Why Won't My Patent Attorney File a Provisional Patent Application? A provisional patent offers some of the same protections of a non-provisional patent, such as legal protection of your invention from use by someone else, but is cheaper than a non-provisional patent and expires 12 months from the filing date. An applicant who files a provisional application must file a corresponding non-provisional application for patent during the 12-month pendency period of the provisional application to benefit from the earlier filing of the provisional application. An alternative to filing a corresponding non-provisional application is to convert the provisional application to a non-provisional application by filing a grantable petition requesting such a conversion within 12 months of the provisional application filing date. If you do not do this, you may be prevented from filing a patent for your invention in the future. 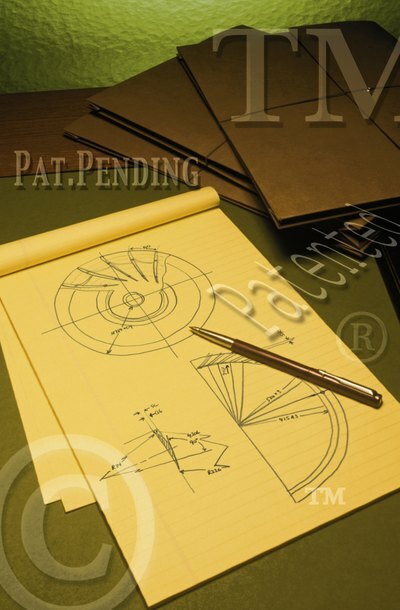 Once granted a provisional patent, you may use the term "patent pending" on your invention.